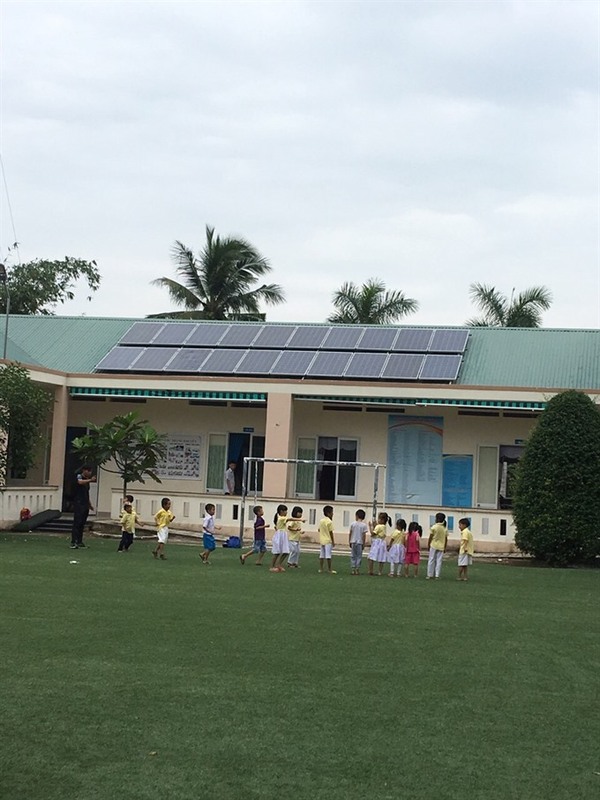 QUẢNG NGÃI — The central province of Quảng Ngãi is co-operating with the HCM City-based SolarBK company to launch a solar power project for the centre for children with diablities in Nghĩa Hành District. The company told Việt Nam News that the renewable power system will provide 40.8KWh (kilowatt per hour) to the centre every day, and help saving VNĐ50 million (US$2,200) in power consumption from the national grid each year. The centre hosts 120 children with different disabilities. The clean power system, built with VNĐ250 million (US$11,000) in funds from the HCM City branch of national utility firm Việt Nam Electricity (EVN). This is the first charity project supported by EVN in the central province. Typically, the centre uses more than 16,000KWh at a cost of VNĐ26 million ($1,100) from the national grid each year. It said money saved using the solar power system will be used to provide service, food and healthcare for its young wards. In August, the company had put into operation a solar power system on An Bình Islet off Lý Sơn Island, 30km off the provincial coast, supplying free and clean power to 400 resident islanders.